We have included an extension in gvSIG 2.1, that can be curious for a lot of users but it’s very interesting for users that have colour perception problems. In fact we find this functionality essential in some fields, as the GIS software white book of the IACA (International Association of Crime Analysts) reflects. 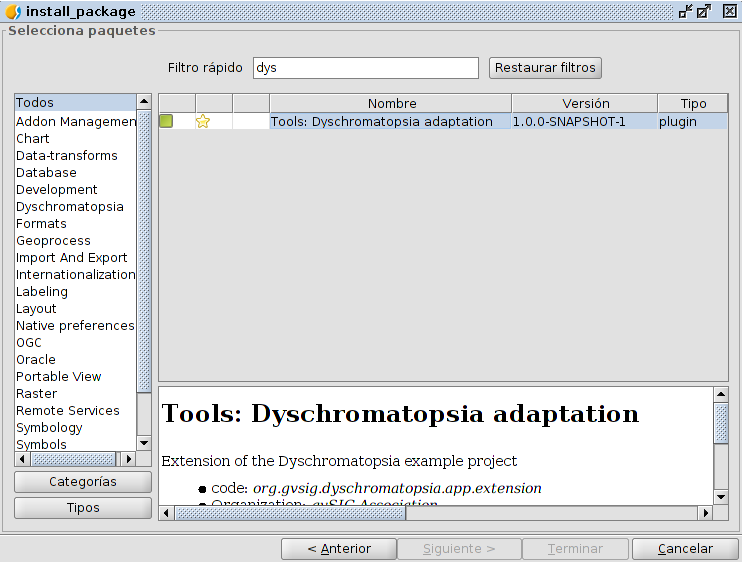 It includes an evaluation factor where “the system has to be prepared for the blindness common problems for colours”. The functionality of this add-on is very simple. From a view with a predetermined legend, we can transform that legend (or create a new one) in another legend that is interpretable by users with any problem related to dyschromatopsia or colour blindness. This entry was posted in english, gvSIG Desktop. Bookmark the permalink.